Taureeq Patel reveals he was very nervous during the Vodacom NXT LVL selection for the Top 16. 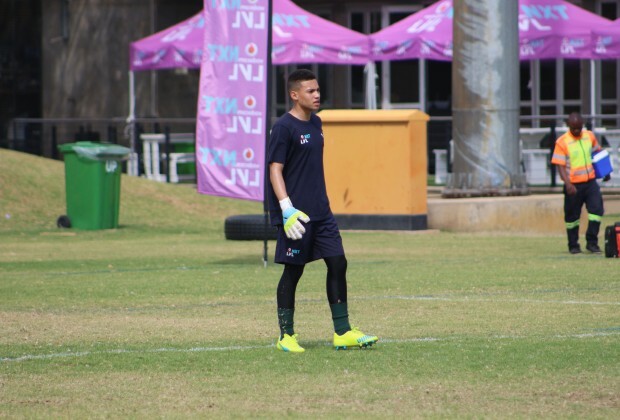 The 16-year-old Goalkeeper from Port Elizabeth believed in his hard work. “It wasn’t easy. The competition is very tough. I’m glad I made it to the Top 16. I was excited to be chosen and at the same time nervous. I have been competing with five talented Goalkeepers. That really put a serious pressure on me. Unfortunately only two got selected and I’m happy to be one of the two. It’s never easy when talent goes head-on-head with hard work. But at the end of the day hard work always pays off. I gave my coach Mr Deshi Bhaktawer no choice but to choose me for the Top 16," Patel said. “I bring a lot to my team. I’m a very outspoken person. Always communicate with my players. Whenever they do something wrong I tell them so it does not cost us during the match. I believe a goalkeeper must shout at his defenders to keep them awake and focused during game time. We all friends in the team so we don’t take what we say to each other in the game personal”. Patel also commented on his experience in the Boot Camp thus far. “Playing in the Vodacom NXT LVL is giving me the experience of playing as a professional player. I am learning a lot from my coaches. Learning things I never even knew they exist but you can tell that is really making a difference in the field. I feel like a complete player with the knowledge that the coaches instilled in me”. The 16 year old continued,” We working a lot on our set pieces at the moment, placing the ball, how to strike a long shot and offside traps”.